The estc group – Events Stewarding, Training & Consultancy Ltd is a fantastic training company and consultancy service that specialise in safety and security training. To enable all staff members to enjoy their conference the estc group required an experienced event management company to organise their 24 hr annual conference and to source a central UK venue. The client commissioned the Deaville&Co all inclusive service including: venue search, email invitations, online delegate booking and registration, preparation of event agenda, badges/ table cards, speaker management and 24 hr onsite event management. Deaville&Co recommended Coombe Abbey, the 12th Century Cistercian Abbey nestled in England’s historic heartland in Warwickshire set within 500 acres of breathtaking parkland. This location was chosen as estc delegates were coming from all over the UK. Deaville&Co have built up close relationships with high end venue’s and therefore negotiated an excellent rate for the estc group. 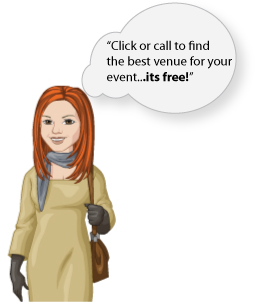 Deaville&Co is passionate about event management and no detail is too small. We took care of the online registration, meet and greet, celebration dinner, speaker management and unlimited client planning meetings. Finally, Deaville&Co were on site to ensure a smooth running event that was perfectly scheduled, on budget and above all a successful and enjoyable event. We commissioned Deaville&Co to organise our annual conference and would highly recommend their services to other organisations. We found with Deaville&Co you can relax and enjoy your event as they really do take care of all the details. Their relationships with venues in the UK enabled us to get the very best rate for our conference and we were delighted with the result. The staff are professional, efficient, friendly and a joy to work with. Thank you Deaville&Co.